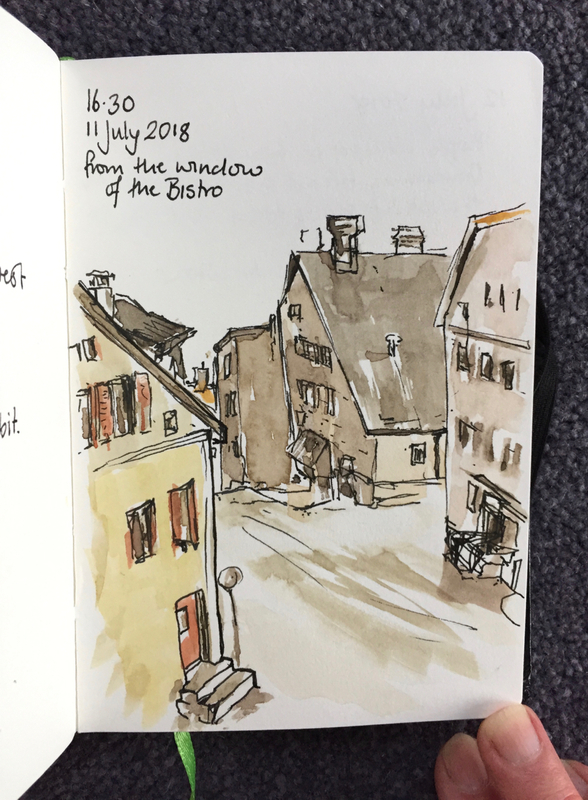 I’m just back from another visit to Sainte-Croix in Vaud, Switzerland. Mostly I was working, but I managed to do a few sketches. 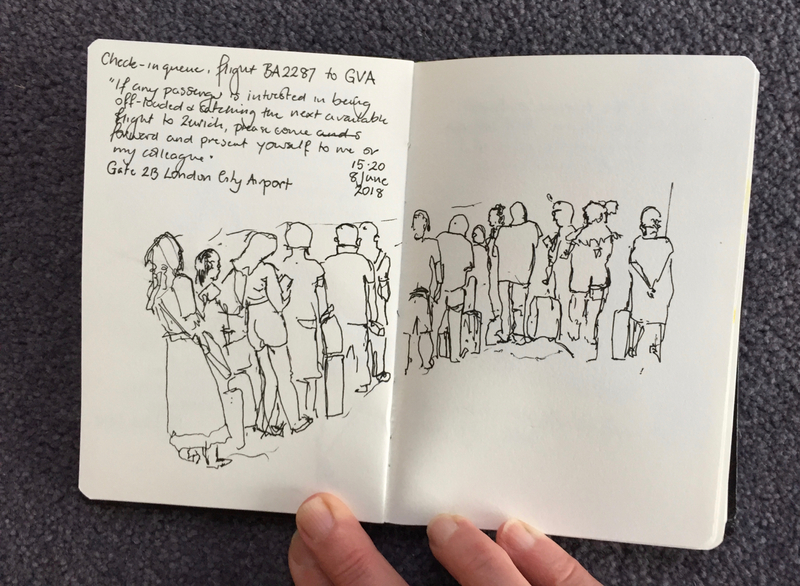 I started sketching at the airport. The flight was full. Here’s one of the outside of the hotel, done in 1 hour and 50 minutes, sitting on the pavement in the sun. In between work on the computer and discussions, I made small quick sketches of what was in front of me. I experimented with watercolour sticks, which are very messy, but deliver strong bright colour. Breakfast: Ovomaltine container and cup, done with watercolour sticks. Experimental study of breakfast items, using watercolour sticks. Flags on the outside of the hotel. Here’s another experiment with the watercolour sticks. 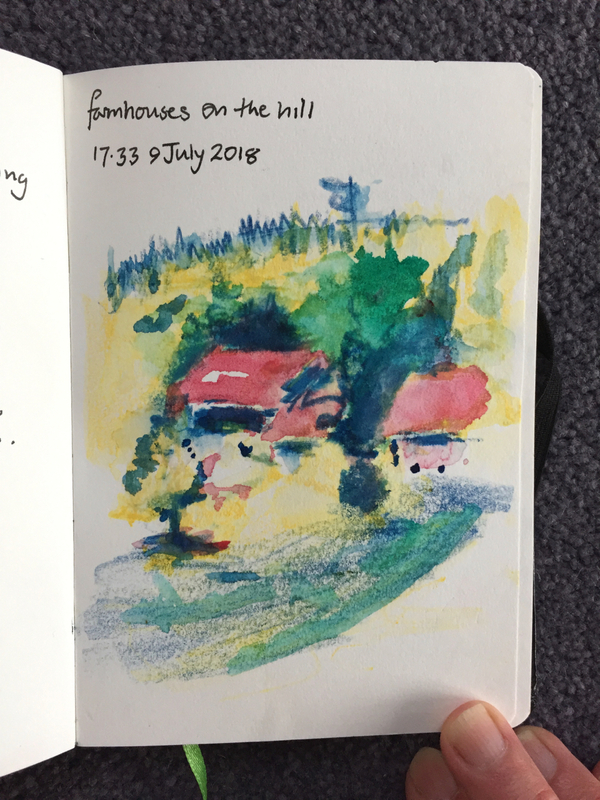 I was walking back from the swimming pool, and saw this sweep of land and the farmhouse sheltered by trees. 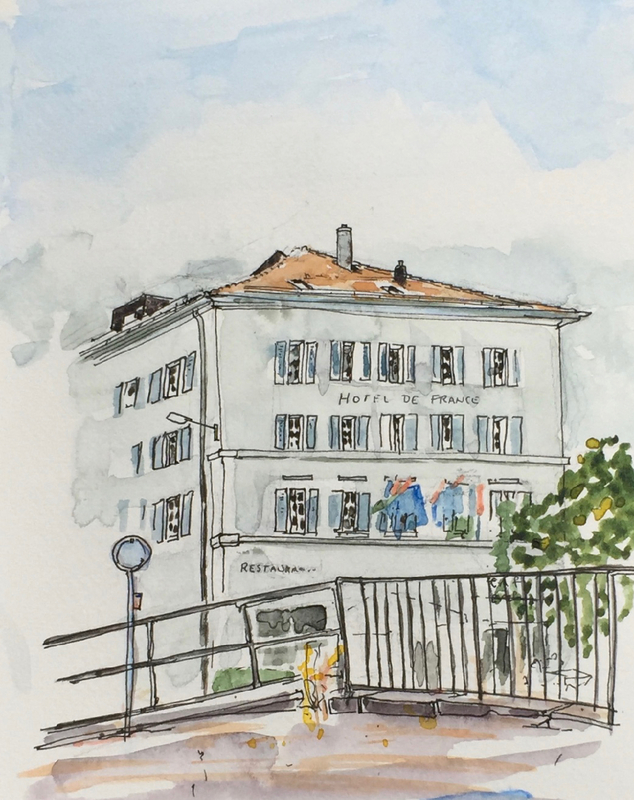 I was shortly due back at the hotel, so I made this sketch in about 10 minutes, sitting on the road. The watercolour sticks throw the colour on very quickly, and don’t allow me to fuss. Here is a sketch made in about 20 minutes, while waiting for a meeting to start. 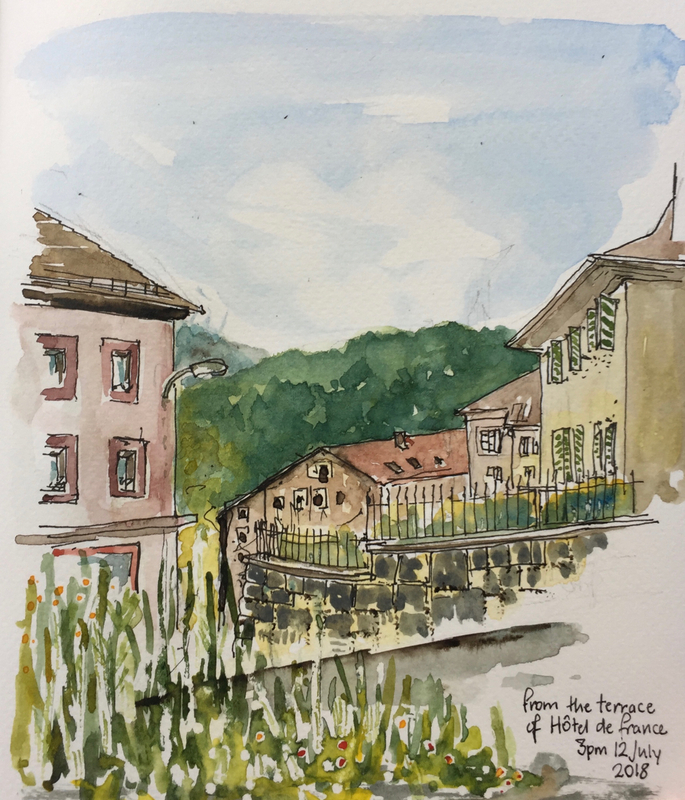 I was looking out of the window…..
At the end of my visit I sat at a table on the terrace and looked across to the Mont de Baulmes. Pen and wash, 20 minutes plus 20 minutes later. Here are the watercolour sticks in their new/old box. It’s an old cigarette box. I just discovered they all fit into it nicely.